Without a doubt, the best place to start a historical tour of St. Augustine is the history museum. This small museum, located next door to the Old Jail, provides the perfect overview of the history of the Nation’s Oldest City. This fantastic St. Augustine museum uses displays, replicas, and authentic artifacts from the city’s earliest residents. Whether you’re just looking for a brief overview of St. Augustine’s past or plan to spend the day exploring our many museums, the St. Augustine History Museum is the perfect place to start! Let us give you a little background on our beautiful city before your visit. 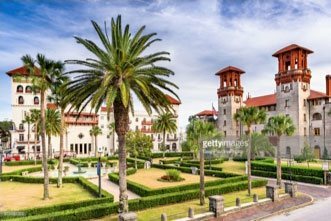 St. Augustine, FL, was first founded in 1565 by a Spanish conquistador. It remained a Spanish colony up until the Treaty of Paris was signed. Then it was ceded to Great Britain in 1763 and remained a British colony until the Second Spanish Period. When you visit St. Augustine, you’ll hear plenty of tour guides and museums reference this period. Finally, Florida was ceded to the United States in 1819. The St. Augustine History Museum covers 400 years of history in a small space. Through the displays and exhibits lining the walls, you’ll learn about the footprint left by the four nations who have left their influence in St. Augustine: England, France, Spain, and the United States. You’ll also discover Spanish treasure recovered from real sunken ships, and a replica Timucuan Indian Village and Florida Cracker trading post. From these artifacts and authentic representations, you’ll be able to get an up-close look at how the earliest settlers lived. Finally, you’ll learn about Henry Flagler’s relationship with St. Augustine and how his influences are still seen today. The easiest way to get to the St. Augustine History Museum from Agustin Inn is the Old Town Trolley Tour! The St. Augustine History Museum is the one of 23 stops of this fantastic tour. Other stops include the Spanish Military Hospital Museum, the Fountain of Youth, and the Castillo de San Marcos. Plus, your trolley ticket includes free admission to the St. Augustine History Museum! There’s also a free beach shuttle to Alligator Farm, the LIghthouse Museum, and the beach. After a day learning about our wonderful city’s past at the St. Augustine History Museum, return to the Agustin Inn for a relaxing evening. Get the royal treatment in the Imperial Suite, a room on the third floor with an oversized pillow-top mattress and luxurious sheets. 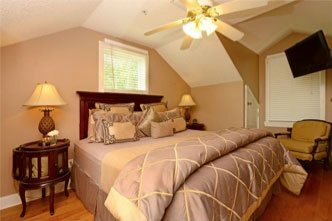 The suite includes a Jacuzzi tub with shower and additional storage space in the bathroom dresser. 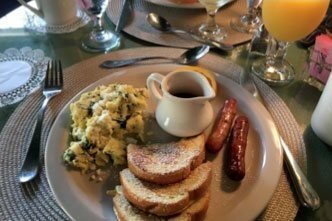 In the morning, enjoy a delicious, gourmet breakfast featuring two incredible courses. 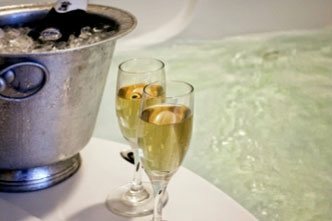 Check our list of specials and packages to take your vacation up a notch! Browse the rest of our guestrooms and book today!